The Collared Dove is a newcomer to the UK. In the 1900's it was found only in Asia and south-east Europe, in 1955 it was found nesting in Norfolk. Today its numbers are widespread. Top photo: Adult male and female Collared Doves with Juvenile on the right. 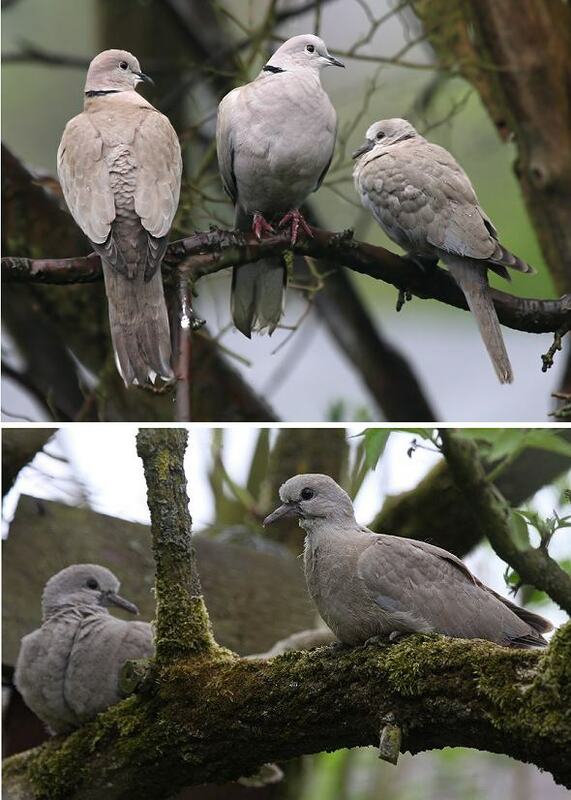 Bottom photo: a pair of Collared Doves just fledged on 21st April 2009.